I like Seoul and all its diverse ranges of food and cultural venues, but soon enough new places start running out and sadly so does my creativity when it comes to choosing a good one to hang out. In addition to my pent-up frustration, the weather is at its worst these days (raining mornings, wet snow and blowing winds etc.) which makes every Friday aka the only time of the week I have a full day off a problem. 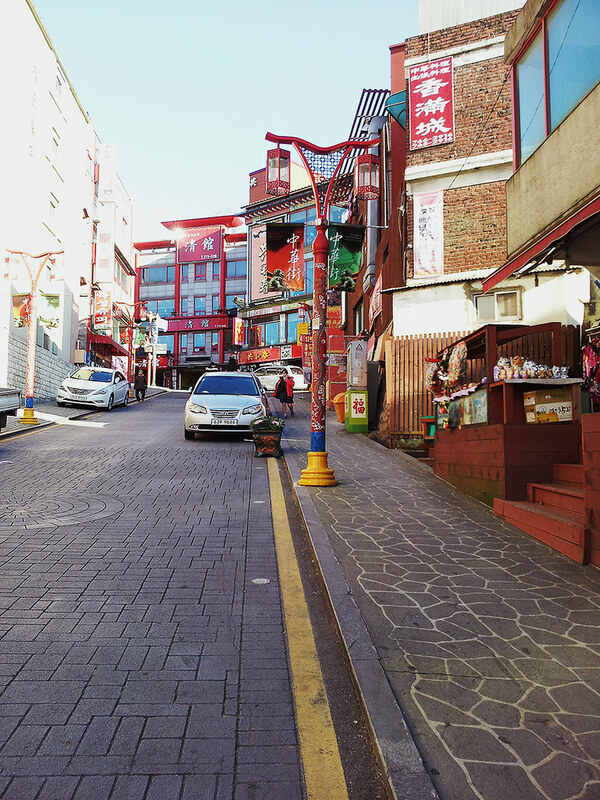 This weekend, in order to celebrate non-existent Thanksgiving in Korea aka a reasonable excuse to get out of Seoul, I headed to Incheon and spent the day walking around Korea’s only official Chinatown. This post is pretty personal what with my face plastered all over on photos, trivial complaints and cat-centered stories so…you have been warned.